• Diameter 82mm. Depth 125mm. Cut-out 70mm. 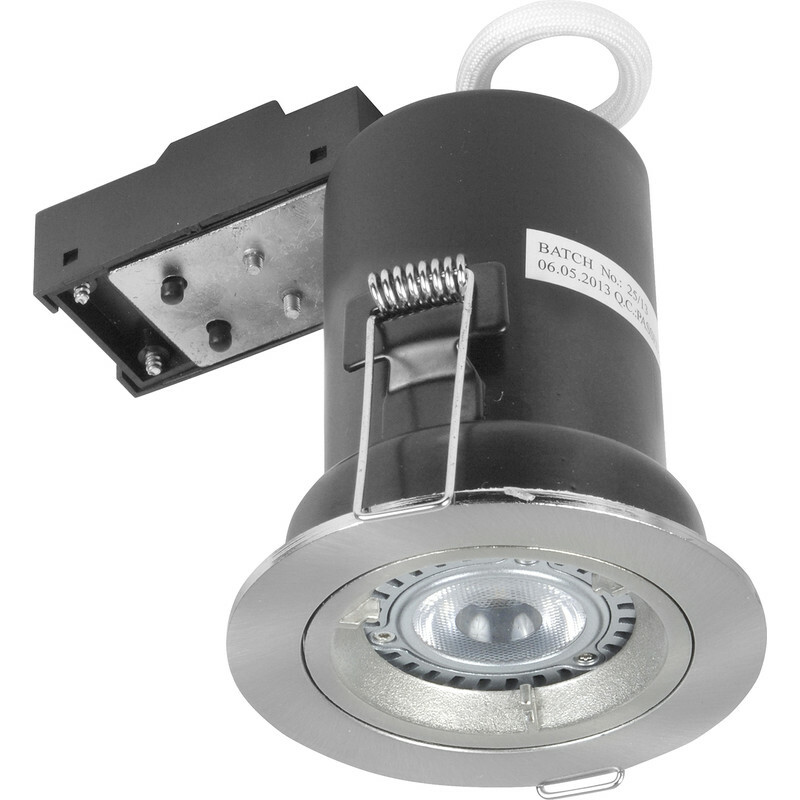 LED 5W COB Fire Rated GU10 Downlight Satin Chrome 330lm is rated 4.4 out of 5 by 11. Rated 5 out of 5 by Dr Rodders from Good quality product Well made and easy to fit. I searched for quite a while before choosing these as the best value for money. Rated 5 out of 5 by Martinus from Good quality Very pleased with the quality "out of the box" however the downlighters were not suitable - entirely my fault for not checking - but return was absolutely trouble free - I have no hesitation in recommending Toolstation to anyone. I have used the same lights elsewhere and found them solid and easy to fit. Rated 5 out of 5 by Pumps from Beats the competition. These have a bright warm light that gives a higher output from 5w than other suppliers give from 8w. Competitively priced. Rated 1 out of 5 by Lgwramp from Broken Not happy came to fit it ,the bulb was just swing around in side, now have to take it back ! Rated 3 out of 5 by Daviddeveloper from No Click fast wiring loom Good light but no click wiring loom so you have to buy a junction box and fireproof cable to meet regs, good apart from this but easier with click system found on other lights. Rated 5 out of 5 by Evva from Smart and efficient I now have a few of these in use around the house and they work a treat. They also have a removable led unit.